I've been wanting to showcase this image for a while now. One of the more challenging parts of the EMC campaign. PARTNERS+simons creative director, Anthony Henriques loves throwing challenges like this at us. So here is our approach to to the problem. At this stage of the campaign, we had already created a number of ads of our “Information Man” Eric, who was a tremendous part of the process. He was an actor and model, which made him very comfortable getting into character. 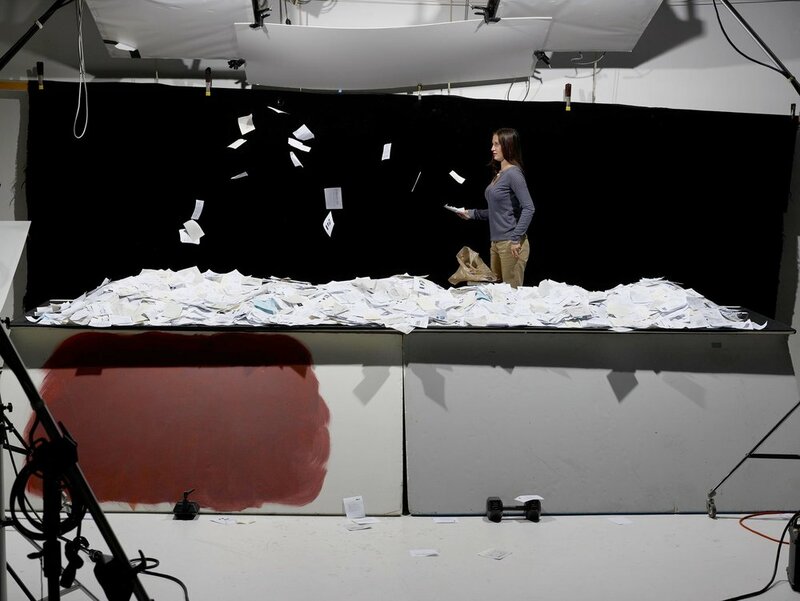 The first thing we had to do was figure out how to create the sea of paper. It was pretty obvious that using full letter size paper would be way too big. So we took files of a variety of documents and printed them four to a page, on both sides. Then we cut the papers into quarters which gave us piles of miniature pages. We then set up a long platform on saw horses and molded chicken wire into an undulating form and stapled it to the surface. Next was scattering the paper over the wire as randomly as possible. Initially, I planned to have the background stay white, but it would be a little harder to silo. So we hung black velvet which made things much easier. Initial shot of the “sea." 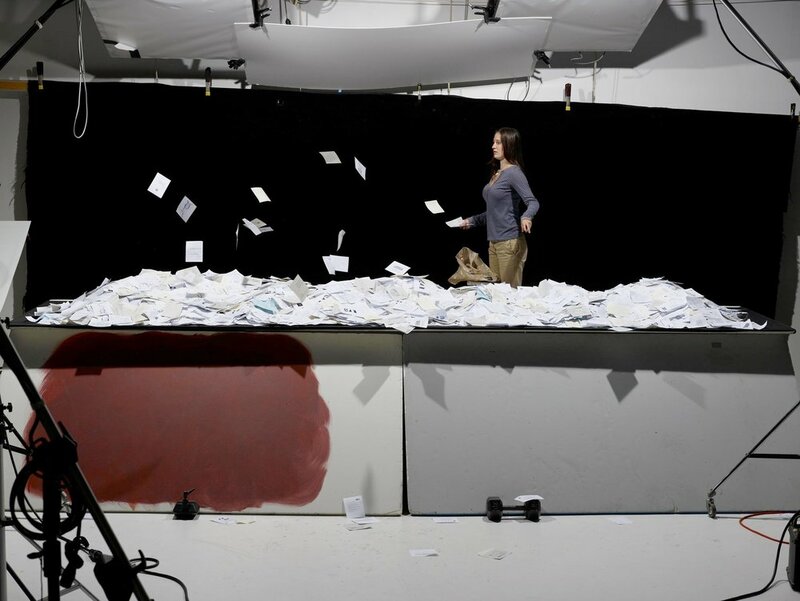 Next Rebekah tossed sheets of paper, over and over, to create source material for windblown pages. That gave us all the elements needed to begin creating the reality. We built a little rig around Eric to make the final integration easier. The solution to the concept and final results, gave us good reason to feel pretty proud of ourselves. Good job!